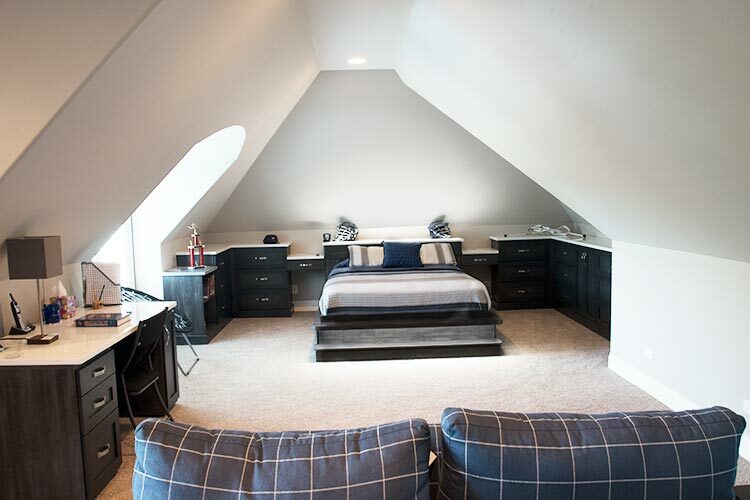 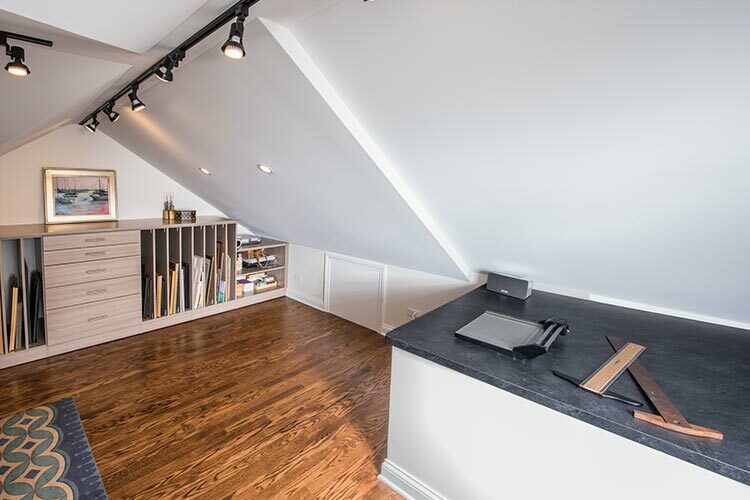 When looking to increase the usable square footage in an existing home, many homeowners consider remodeling an attic or space over the garage. 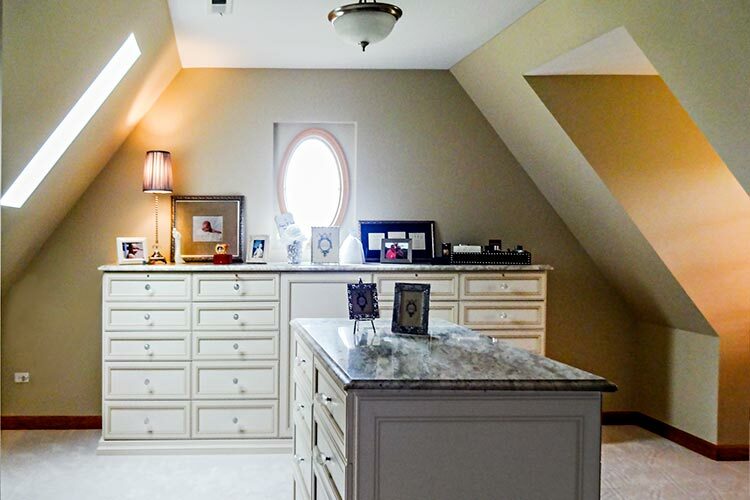 Frequently, these spaces come with gables and quirky angles along the ceilings and walls. 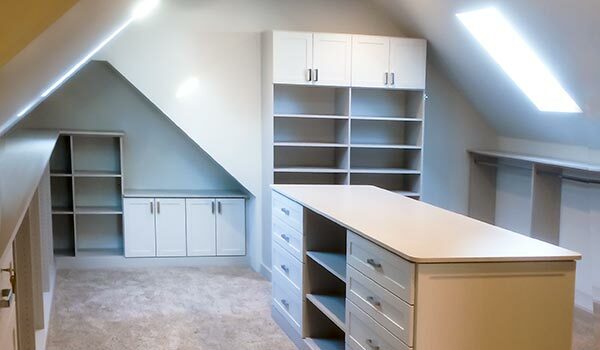 Although slanted, sloped ceilings and angled walls can add a certain cozy charm to a room, they can be difficult to outfit with a traditional closet or stock furniture solution. 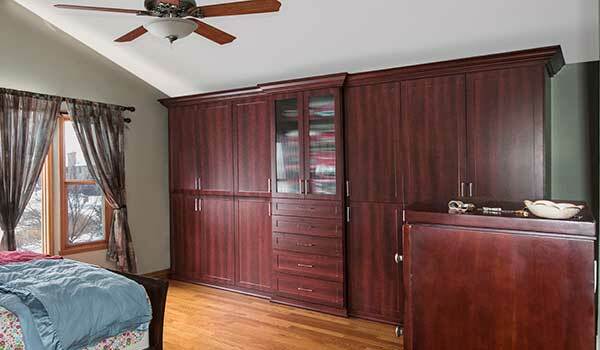 Custom is usually your best option if you have one of these difficult spaces. 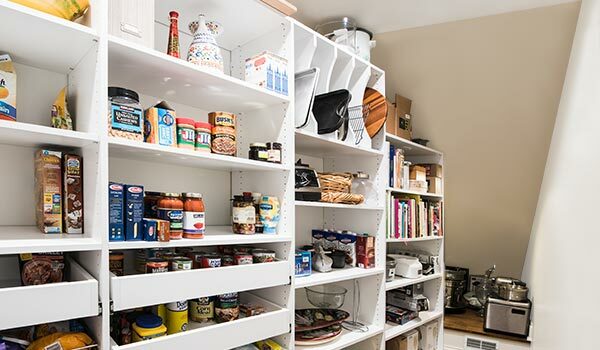 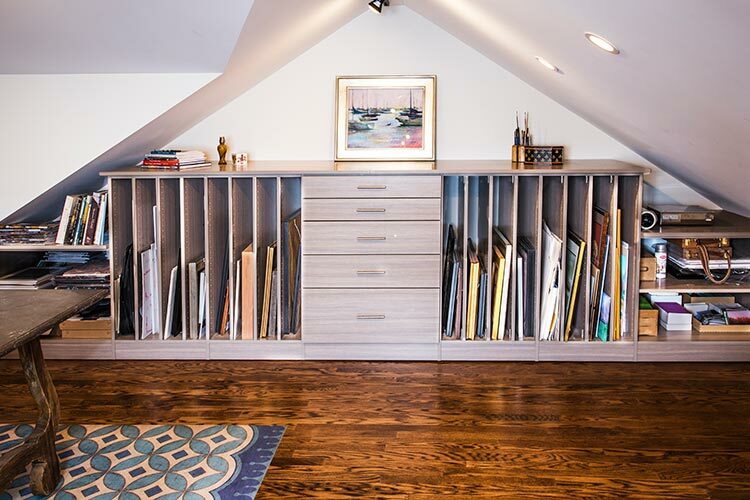 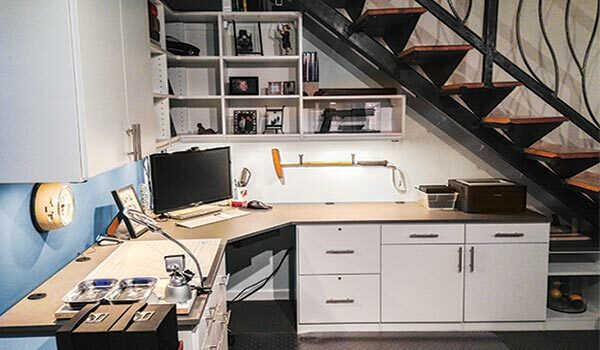 With a little help, however, you can turn a challenge into an asset while including plenty of storage for your closet or other space with slanted ceiling. 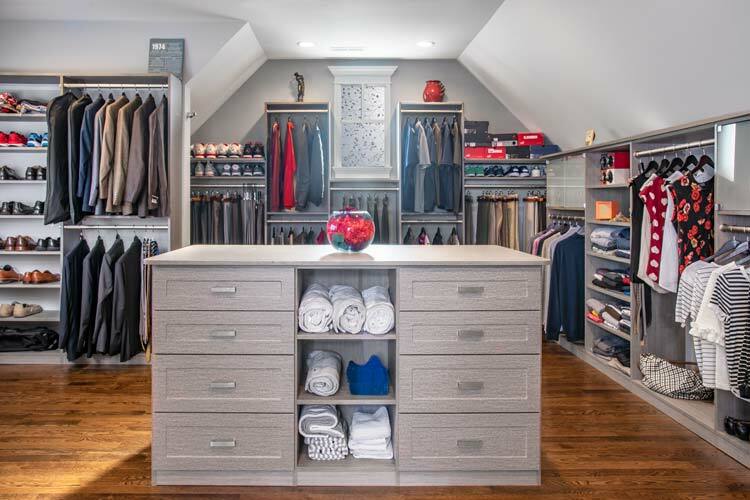 There are certain tricks that tame the angles — Closet Works designers are masters at sloped ceiling closet solutions that maximize any room's potential. 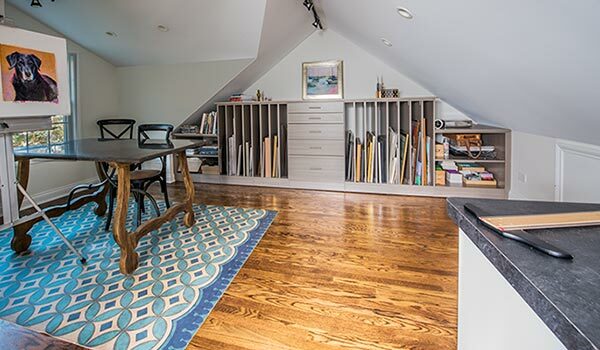 For example, by putting storage around the periphery of the room where the ceiling is lowest, storage is increased while leaving the center area with the greatest headroom open and livable. 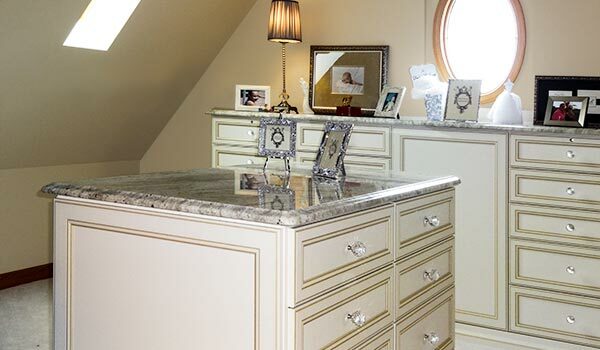 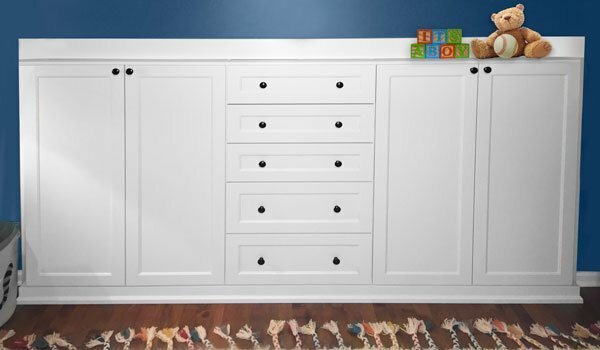 Custom furniture can be designed that embraces the sometimes quirky dimensions, putting every square inch to use and ensuring that you never feel cramped or claustrophobic. 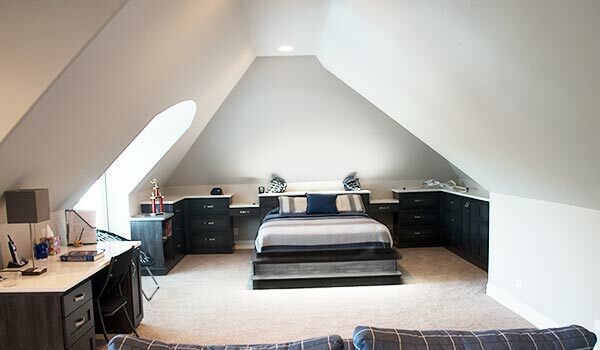 Rooms With Slanted Ceilings and Walls Project Gallery: Click on any photo to view details of our projects.